We’re busy getting ready for Valentine’s Day! We’re swimming in red hearts, cupids and roses. 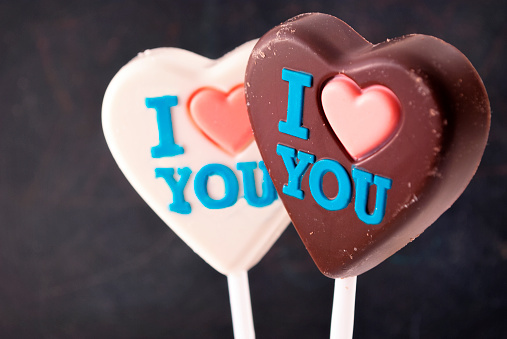 There are only a few things we really associate with Valentine’s Day and at the top of the list is candy. Like Halloween, it’s almost impossible to make it through the holiday without eating a bonbon or two. But how did we start making that connection between candy and love? 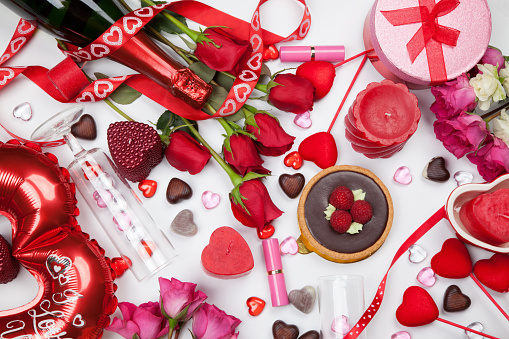 Here is a breakdown of why we give sweets to our sweethearts on Valentine’s Day. Forbidden Fondness In the third century, St. Valentine was a Roman bishop who secretly granted marriages to soldiers and their sweethearts when it was banned. He was imprisoned for the crime and in his cell is where the Valentine as we know it was born. As the legend goes, St. Valentine sent a letter to the daughter of his jailer and signed it “Your Valentine.” There was no candy included, but this where the valentine tradition started. We waited another few hundred years for Shakespeare to make the candy connection in Hamlet with the words “sweets to the sweet” and we never looked back. Delicious DevotionThe connection between chocolate and love can be boiled down to science. There’s a chemical released in our brains when we fall in love called phenylethylamine. Coincidentally, chocolate contains this chemical. The amount found in chocolate made today is too scant to be considered an aphrodisiac, but it was one of the early uses of the cocoa bean by the Aztecs. In addition to using chocolate as wedding gifts, Aztec leader Montezuma was known for consuming it before romantic engagements. Cartons of Confections Chocolate was originally a drink. It wasn’t until the 1840s that candy makers turned it into solid morsels of food. One of the early chocolate producers — Richard Cadbury — is widely considered the person responsible for making these solid chocolates treats a Valentine’s Day tradition. He designed elaborately decorated boxes to package his candies, but the company that still carries his name does not claim he was behind those heart-shaped boxes we send our sweethearts today. That started, according to the New York Times, in the 1890s. 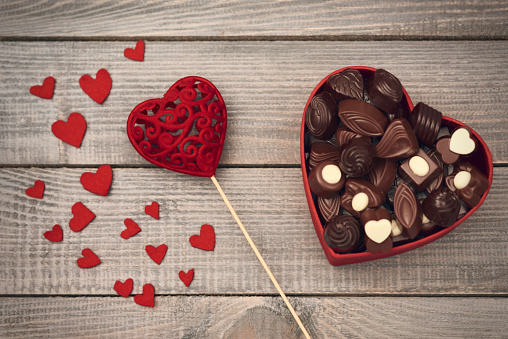 Delectable Dialogue New England Confectionery Company (NECCO) started experimenting with its signature Valentine’s Day candy around the same time Richard Cadbury was perfecting solid chocolate. NECCO started using the first candy machine in 1847 and about two decades later they came up with the iconic “Conversation Candies” which later became conversation hearts. Those conversation hearts have been in production since 1902 and the company continues the conversations with new words each year. 2016 words have not yet been announced, but last year’s phrases include “BFF” (Best Friends Forever), “TE AMO” (I love you in Spanish), “JE T’AIME” (I love you in French), and “Pugs and Kittens” (for animal lovers). Let The Lakeside Collection help you make your sweetheart’s Valentine’s Day special. 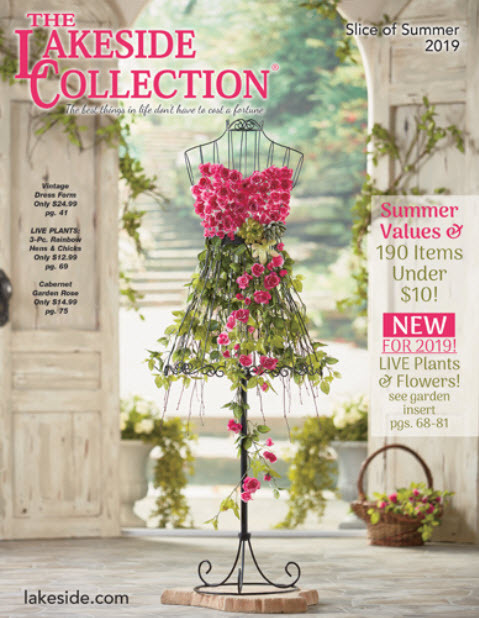 From gifts to sweets, we have hundreds items to show your loved one you care.